Arar, a Syrian-born Canadian citizen, was detained in September 2002 at JFK, where he was changing planes on his return to Canada from a vacation in Tunisia. He was held in New York for 13 days on the basis of having suspected ties to Al Qaeda, then sent to Syria, where he was held for a year and tortured before being released. The Canadian government investigated and cleared him of any links to terrorism, awarding him a settlement of over 10 million Canadian dollars. Yet, he is not allowed to sue the US government for his treatment. Putting aside the logic of the appeals court decision, and this week’s Supreme Court decision not to take up the case, what most startles me (or would if I weren’t used to this by now) is the Obama administration’s own decision to argue against Arar’s appeal. Arar was beaten and tortured while Syrian officials asked him questions virtually identical to those US officials had asked him in New York. He was locked up for a year without charges and in complete isolation, most of the time in a cell the size of a grave. After a year, Syria released him, finding no evidence that he had done anything wrong. He returned to Canada—this time avoiding any change of planes in the United States. Canada responded to Arar’s case as a nation who has wronged a human being should. 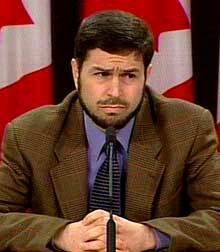 It established a blue-ribbon commission to investigate his case, which wrote a 1,100-page report fully exonerating Arar, and faulting Canadian officials for erroneously telling US officials that Arar was the target of an investigation into possible al-Qaeda links. In fact, Arar was merely listed as one of many persons “of interest” to the investigation, because he was thought to know one of the individuals who was targeted. The commission found, however, that Canadian officials did not know that the United States was planning to send Arar to Syria. That decision was made by US officials with the Syrians and not shared with the Canadians. Canada, in other words, played a relatively small part in Arar’s injuries, as compared to the United States. Yet Canada’s Parliament issued a unanimous apology, and the government paid Arar $10 million (Canadian) for its role in the wrong done to him. Here in the United States, the response could not have been more different. US officials have never apologized to Arar. They persist in leaving him on a “no-fly” list, despite the fact that Canada has cleared him of any suspicion, much less wrongdoing. And when we filed suit in 2004 to seek damages from the US officials directly responsible for the decision to send Arar to his torturers, lawyers for the Bush administration argued that even assuming that federal officials had intentionally delivered Arar to Syria to be tortured, and blocked him from seeking court protection while he was in their custody, they could not be held liable for his injuries on the grounds that the case implicated secret communications and national security concerns not appropriate for court resolution. Regrettably, the courts agreed with the Bush administration position—and so has Obama’s Department of Justice. … Bush administration officials sent Arar to be tortured, and Bush administration lawyers initially sought to have his damages suit dismissed. But nothing changed when President Obama took office. The Obama administration aggressively defended the Second Circuit’s decision to throw Arar’s case out of court. It opened its brief to the Supreme Court with a paragraph reiterating that torture is never permissible, but then went on to argue at length that federal officials accused of torture should not be held accountable. . . .
To the Obama administration, defending government officials from suit, regardless of the gravity of the allegations, is evidently more important than holding individuals responsible for complicity in torture. See also Scott Horton of Harper’s here and the NYT editorial here.